A private guided tour of the unique city of Venice. Discover all of the highlights with you own tour guide. 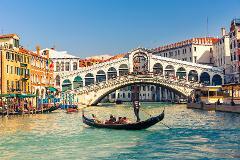 Includes Entrance with Skip the line to St Marks Basilica and to Doges Palace. 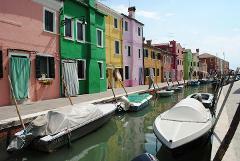 In your private boat, discover the treasures of the Venice Lagoon: the islands of Murano and Burano. 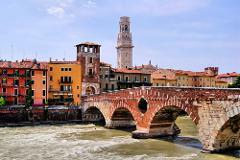 A delightful 2 hour walking tour around the beautiful city of Verona. Famous for the star-crossed lovers, Romeo and Juliet, this tour will take you through the different ages of history. 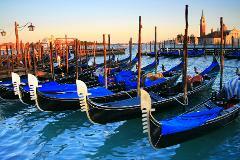 Enjoy a delightful walk around one of the most interesting cities in Italy. You will take in the atmosphere as you stroll through the unique streets of Venice. Visit the Accademia gallery and amazing churches like San Rocco. Venice is a unique and famous city. Marvel at the amazing sites and soak in the atmosphere with your own private guide, showing you the most famous parts of the city.